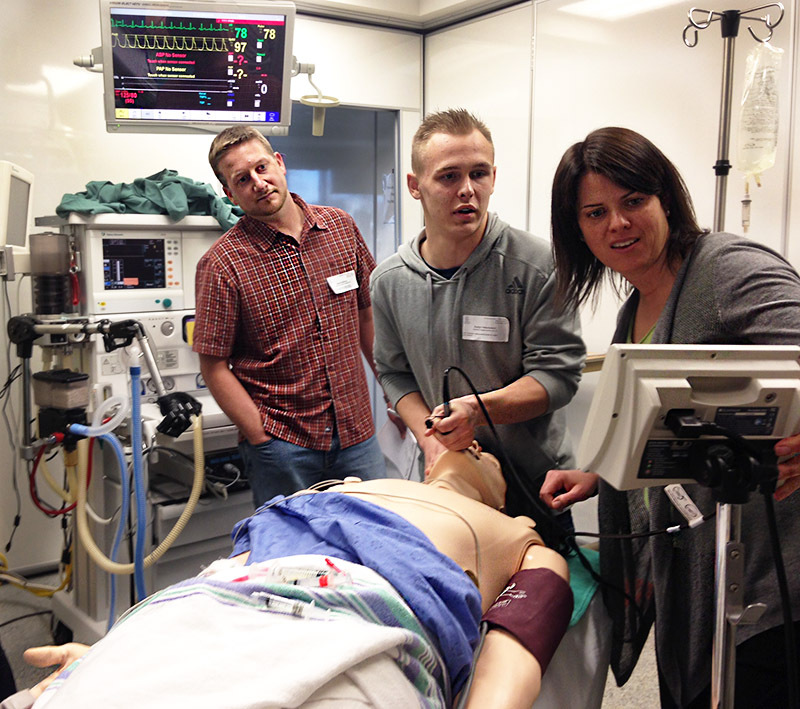 On May 1, 2015, along with the high school students and teachers from London and surrounding areas, paid a visit to SimMan and friends with the Department of Anesthesia and Perioperative Medicine at University Hospital’s CSTAR Simulation facility. 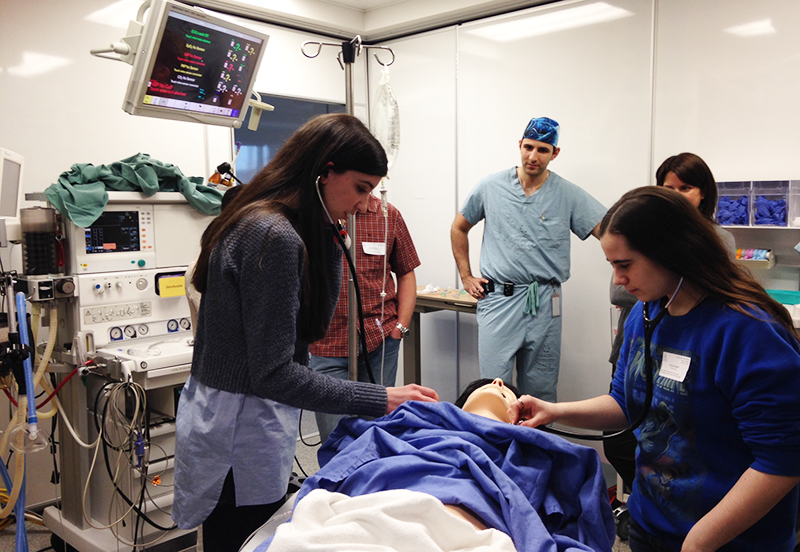 Director of Undergraduate Education for Anesthesia, Dr. Michelle Gros and simulation fellow Dr. Arwa Alzarahni led a simulation demonstration which immersed the students in the daily experience of the anesthesiologist in the operating room. 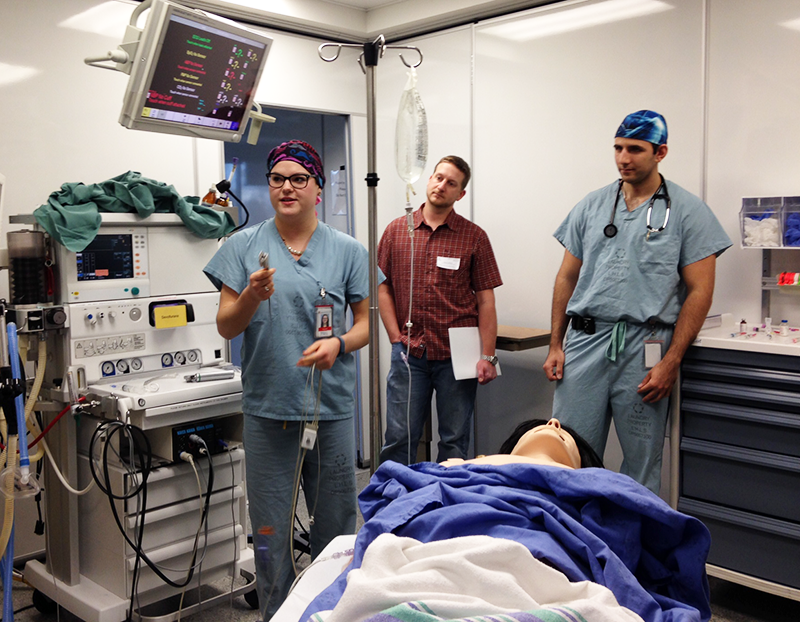 They were able to listen to normal and abnormal breath and heart sounds, understand patient monitoring equipment, and participate in simulated patient history taking, physical examination, and anesthesia induction. 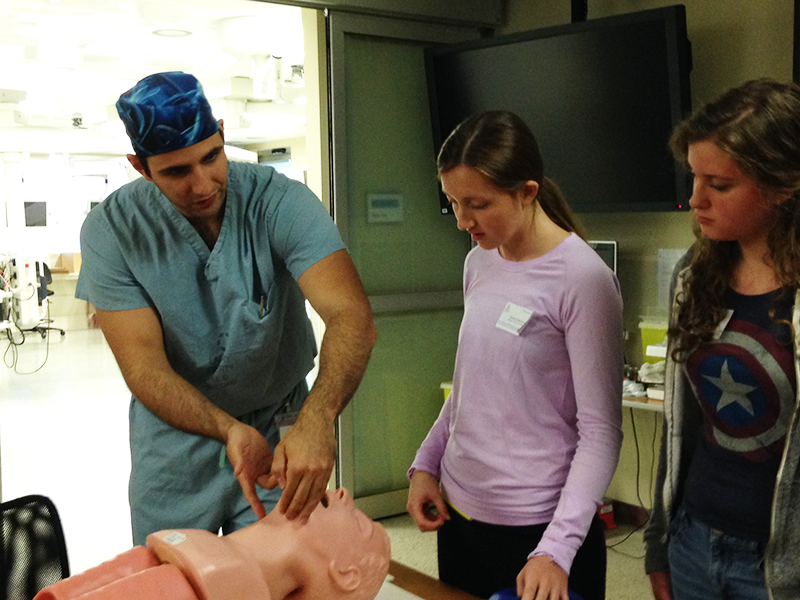 Working with Anesthesia residents Dr. Ranko Balatovic and Dr. Bethany Oeming, they met Al, the Airway Head task trainer, and were led through and conducted simulated intubation and bag-masking technique - their biceps will attest to what a great workout it can be! 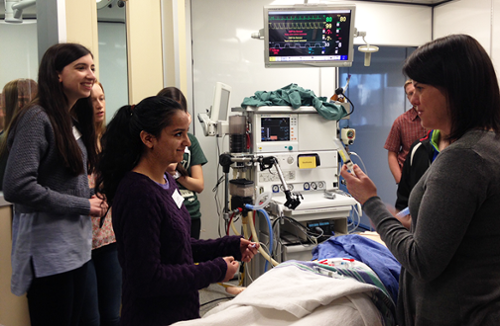 Everyone here had a great time with the students and hope they enjoyed their visit and their experience as an anesthesiologist. 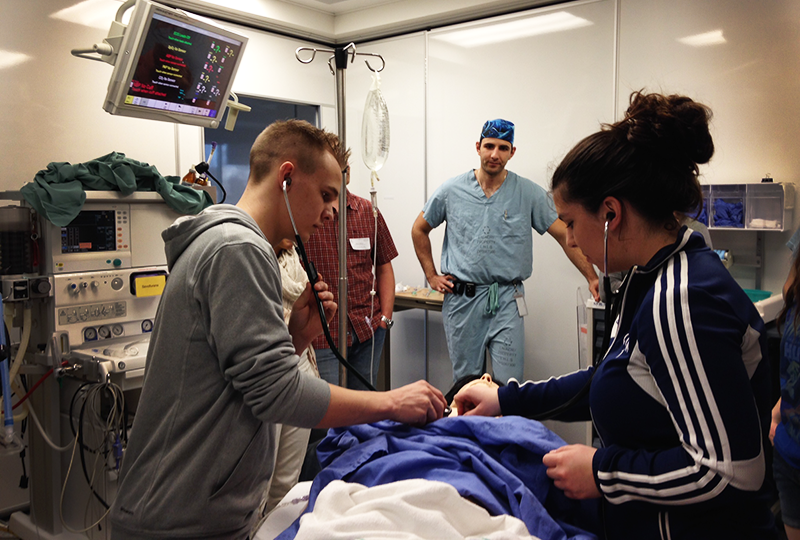 Perhaps we will be seeing them again sometime soon as Schulich students!